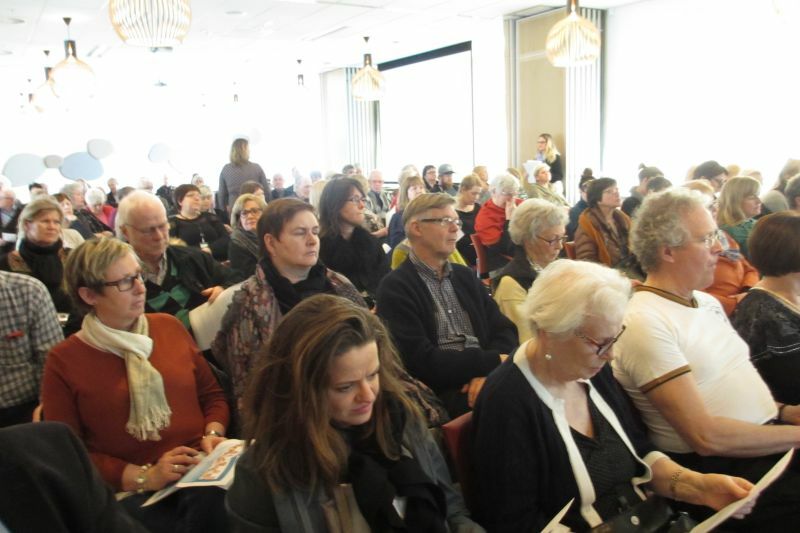 On March 1 2016, employees of the Community Centers operated by the City of Reykjavik Department of Welfare held a public forum on the topic “Active Throughout – Adding Life to Years” to discuss the direction of city services for senior citizens. The five opening speakers were a psychologist, magazine editor, theatre director and sociologist, publisher and journalist, and all spoke about aging from different points of view. Around 90 guests, many of whom were themselves retired, participated in the forum, and a lively panel discussion followed the opening speeches. What can the city do to encourage an active life for seniors? The city’s current policy of enabling independent living for as long as possible while working to minimize loneliness and social exclusion. The mission and purpose of the 17 community centers operated in the city and whether the activities offered there are appropriate, and appropriately varied, for the diverse group of people that seniors are. All the speakers agreed that some changes are needed to meet older adults’ needs. People live longer and stay healthier than in earlier times – a 50 year old now has a 50/50 chance of reaching 100. Society should avail itself of the resources inherent in older people and the retirement age should be flexible and according to individuals’ needs, desires, and abilities. The viewpoint of those still working but nearing retirement age were discussed and it was made clear that some of them feel that current offerings at municipal community centers are not what they desire. The all-female panel was comprised of the chairwomen of the city’s Senior Citizens’ and Welfare committees, the chairwoman of the Association of Senior Citizens in Reykjavik and an office director at the Reykjavik Department of Welfare. The speeches and discussion at this meeting will provide the Age-Friendly Reykjavik Steering Committee with a great deal of material concerning the viewpoints, needs and wishes of seniors living in Reykjavik, to keep in consideration in its ongoing work.